The State Department is facing accusations that it failed to mobilize to stop the Irish government from pushing through with a major new effort to boycott and isolate Israel, according to sources familiar with the matter who told the Washington Free Beacon this lack of action has created friction with some on Capitol Hill and in the U.S. pro-Israel community. 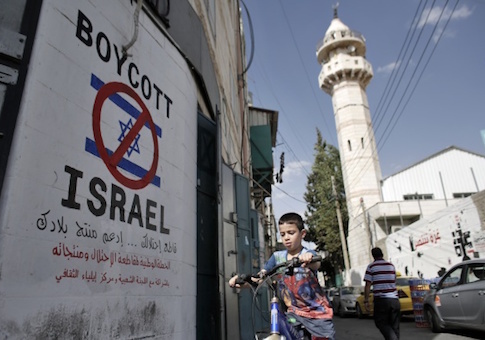 The Irish government is once again moving forward with legislation that would boycott Israel by making it a crime for any citizen to purchase Jewish-made goods that originate in contested areas of the Jewish state, making Ireland one of the most vocal and persistent boycotter of Israel. When the Irish government moved to pass a similar bill last year—cementing the country's place as one of the foremost global supports of the anti-Semitic Boycott, Divestment, and Sanctions movement—diplomats in the Trump administration quickly rushed to quash the effort and inform Irish political leaders that any Israel boycott would subject it to harsh penalties. This time around, however, the State Department did little if anything as the Irish government rammed through the new BDS effort, multiple sources told the Free Beacon. The administration's hands-off approach to the latest Irish effort to isolate Israel has stoked a level of concern and frustration on Capitol Hill and within the U.S. pro-Israel community. In both instances, the State Department is said to have been alerted to the Irish BDS effort by outside organizations and officials. During the February 2018 episode, as first reported by the Free Beacon, the State Department mobilized to quash the BDS effort, which, as with this time, is not supported by Ireland's minority government. None of that took place this time around, according to multiple sources familiar with the matter who described senior State Department officials as being left in the dark about the situation. When news broke that Ireland is again moving forward with the BDS effort—which has majority support in the country's parliament and is moving closer to final passage—outside sources alerted the State Department, but were disappointed to find officials did not pursue the same course as last time by actively working to thwart the effort. This entry was posted in National Security and tagged Israel, State Department. Bookmark the permalink.